Mark J. Weinstein is the President and Founder of MJW Investments. 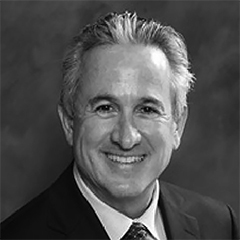 After beginning his career as an attorney, Los Angeles native Mark J. Weinstein founded MJW Investments in 1983 when he discovered the potential of real estate investment and development through several successful ventures. Under his leadership MJW has acquired approximately 1 billion dollars of real estate holdings in all asset types. He also spearheaded the adaptive reuse of Santee Village, one of Los Angeles’ largest adaptive reuse projects of over 800,000 square ft. of mixed use in the Fashion District of Downtown Los Angeles. Mr. Weinstein’s passion for, and expertise in property repositioning has been a guiding factor in the company’s growth and success. Mark is the majority owner of the firm’s $800MM diversified real estate holdings. More recently, Mark has led the firm’s strategic growth into student housing and has amassed a portfolio of student housing properties at Michigan State, Washington State, Brigham Young University, UC Santa Barbara, Oregon, Arizona State and Texas Tech. The firm continues to expand its Southern California multifamily portfolio. Student Housing Magazine named MJW one of the Top 25 Owners and Managers of Student Housing in 2017. Throughout his career, Mr. Weinstein has maintained active associations and leadership with numerous civic and philanthropic groups. These include a three-year term as Chair of the Jewish Federation’s Real Estate Construction Division; and active associations with the Young Presidents Organization (YPO), the Guardians, an agency dedicated to serving the elderly. The Mensch Award from Breed Street Shul. Breed Street provides social programming for Latino and Jewish communities.